Dr. Sang M. Han, Regents Professor in the Departments of Chemical & Biological Engineering and Electrical & Computer Engineering has received the 2018 STC.UNM Innovation Fellow Award in recognition of his achievements as a leading innovator at the University of New Mexico. The STC.UNM (STC) Board of Directors presents this special award each year to a university faculty inventor(s) whose body of technologies have made a significant social and economic impact on society and the marketplace. 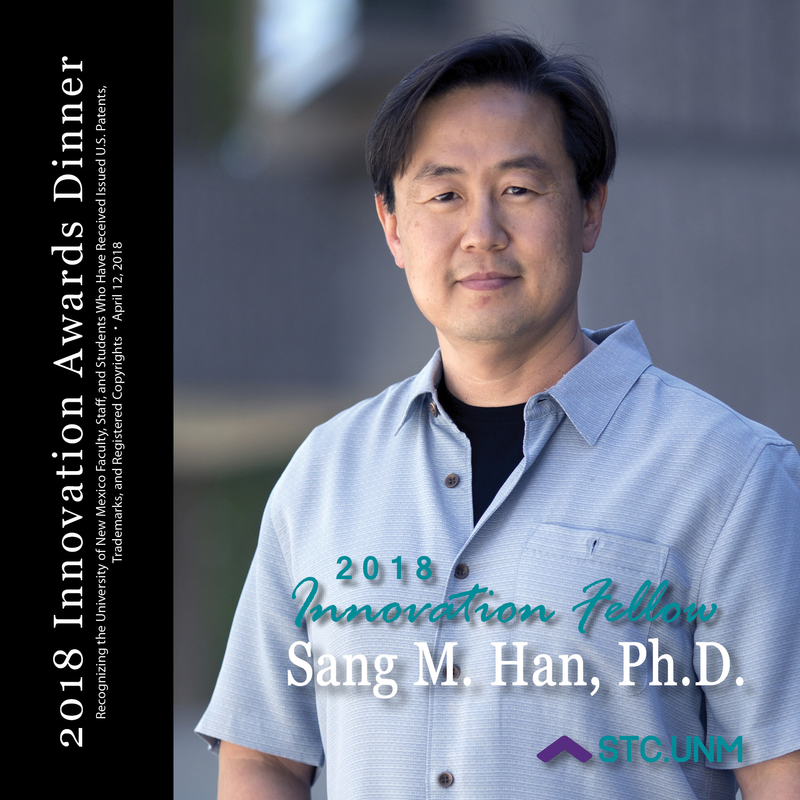 The award was presented to Dr. Han at STC’s 2018 Innovation Awards Dinner on April 12, 2018. The annual event also recognizes UNM faculty, staff and students who have received issued U. S. patents, trademarks and registered copyrights within the past year. In addition to receiving the Innovation Fellow Award, Dr. Han will receive an Innovation Award for three issued patents this year.